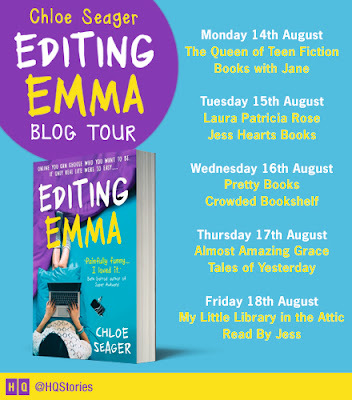 I am so excited to be a stop on the blog tour for Editing Emma by Chloe Seager. I have a brilliant Q&A with Chloe to share with you telling you lots more about the book and some rather exciting news. Don't forget to follow along the other stops on the tour. Hi Chloe, welcome to my blog! To start please can you tell everyone a little bit about Editing Emma. Hi Laura, thanks for having me! :) So Editing Emma is about a girl who finds herself ‘ghosted’ by someone she really, really likes. When she sees his new relationship, she sets off on a ‘life improvement’ mission which is destined to go wrong from the start (recording everything on her blog). Why did you decide to write Editing Emma as a series of blog posts? Because Emma is always attached to her phone/laptop, once the idea came up it felt like it completely made sense as a format. She’s desperate to document everything - nothing feels totally real to her unless its encapsulated on some form of technology - so I knew when she started her mission, she’d want to record it all the time, wherever she went. It also seemed like quite an interesting way to talk about certain topics if she felt like it, e.g. The Period Taboo, and Emma would be following lots of bloggers herself. What made you decide to have Emma ghosted in her story? So I’ve never been ‘ghosted’ in the way that Emma is, in the middle of a fully blown relationship, but there was a boy at school that I was really obsessed with who ‘asked me out’ on Saturday night, and was ignoring me in school on Monday. It was actually a really traumatic experience for me, at the time - it made me feel as if I was going completely mad! I’ve also noticed ‘ghosting’ has become a bit of a common theme for some of my friends using dating apps (I know it can happen within non-romantic relationships too, but this is mainly where I’ve personally come across it in adult life). I started thinking about it, and how it tied in to the social media theme I wanted to explore. I think social media makes it easier to disappear in many ways, but also so much harder. My friends will meet people once who’d rather block them than tell them they don’t want to go out with them again, which I guess is easier. But on the flip side in a case like Emma’s, Emma still has a window into this person’s life when he’s completely ignoring her - it makes it more difficult for her to let go, because she sort of feels like she’s still seeing him, and she can’t help but look for answers in his posts. I think ghosting and social media are bizarre enough phenomenons on their own, and I’m especially interested by the interaction between the two! Funnily enough, I actually didn’t think much about writing them into the novel in the first place, because Emma’s blog is basically her diary…why would she leave anything out? Sitting writing the book alone in my bedroom, it just felt natural and normal. Then when some other people who first read the ms raised them as taboo or as something to potentially be cut back on, I realised how strongly I felt about having them in there. *whispers* is there anything in Emma’s blog diary that is actually you? 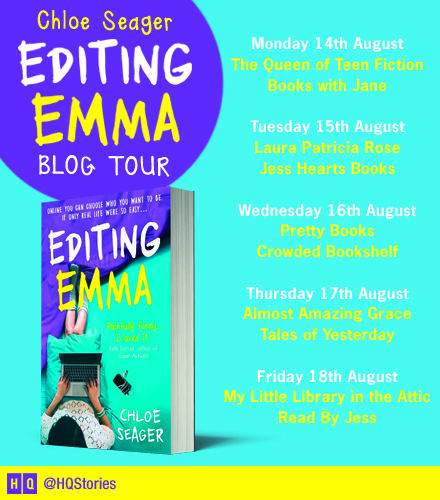 What was the best and hardest thing about writing Editing Emma? So this is sort of the same answer for both. Trying to get back into a teenage mindset brought up a lot of stuff for me; lots of joy and memories of an age that’s simpler in many ways - when time seems endless, you spend it having mindless fun with your mates, and life is this big white canvas stretching ahead. But it also brought up all the insecurity, vulnerability and uncertainty that comes with that. All things considered, I’m really glad I’m not a teenager any more! Will we see more of Editing Emma? YES. I’ve nearly finished Book 2, which goes into ‘benching’ rather than ‘ghosting,’ (another questionable practice), and the pitfalls of obsessing over yourself online, rather than other people. I do touch on this in Book 1, but I feel really lucky to have had the opportunity to explore this further. It’s such a tricky topic to get right and to not come across too preachy…so hopefully I do it justice! 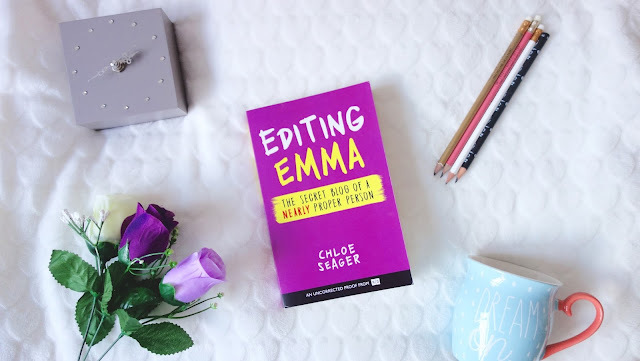 Editing Emma is out now and it's a brilliant funny read!